There are quite a number of books that have played significant roles in shaping my life. I will share with you, here, some that are one way or the other connected to my present online endeavor. Throughout the past four decades, books written by Alvin Toffler, have influenced my thinking, writing, and moreover shaped my passion as a future-oriented person. Being a social scientist, most of Alvin Toffler’s best-seller books examined the advancement of information technology and the resulting acceleration of changes in society and the impacts brought about to our present and future political, social and economic life. As an avid futurist, he foresaw the rising new information society and predicted such technological advances as cloning, personal computers, the Internet, cable television and mobile communication. He even foresaw the downfall of the mighty Soviet Union, which was brought to its knees by the forces of the Information Revolution. Even today, when I am deeply committed to online business building, Alvin Toffler’s books are my primary sources of inspiration and references. His books never failed to fill my imaginative realm with ever flowing new ideas and insight and have been my resource for re-energizing my creativity, passion, and enthusiasm. Toffler provides his readers the needed road map to cope with unprecedented changes in the seemingly confusing chaotic world brought about by technological advancements. His books are my gospel of change, I read and re-read them again and again. I recommend you very strongly to read these books, starting from the Future Shock onward to reset your mind and sharpen, hone and re-direct it into a future-oriented one. As a devoted Tofflerist ever since I read Future Shock in 1970, I continued to read almost all his works that follow: Third Wave (1980), Preview and Premises (1983), Powershift (1990), Revolutionary Wealth (2006) etc., among others. Future Shock (1970) is all about the accelerating pace of life of the individual, the family and the society impacted by the rapid technological advancements and changes. The Third Wave (1980) is about knowledge-driven information economies. Preview and Premises (1983) is an interview with the author of Future Shock and The Third Wave; a penetrating insight about the Information Age and the rising new civilization. Powershift (1990) is about the Trinity of Power: Knowledge, Wealth and Violence, the combination of which are described by Toffler as the source of power. This book described the potential of information becoming the decisive factor for winning wars – be it on the battlefield or in the field of business. Revolutionary Wealth (2006) is also a must-read if you wish to peek into the future – say, the next 30 years. According to Toffler the existing institutions and political systems are all outdated and are therefore no more capable of fulfilling the needs of modern society. He explains vividly why we are facing structural problems like unemployment, increasingly unbalanced distribution of the wealth, gender & immigrant issues, poverty, etc. We need to revise the education system and embrace a totally different concept of working. Reading these books will tell you what lies ahead in the future. Even though not all his predictions come to pass it is fascinating to see so many turned out almost exactly as he had foretold. Entrepreneurs should read these books. Absorbing all the amazingly insightful thoughts will sharpen your vision – either in your business, political or social life. An amazing future is arriving into our present world every day. Tremendous changes are coming not in the far future – but into our every-day life. Every morning we wake up we are seeing another new future. What kind of knowledge and skills will you need to acquire to lead a successful and happy life in the 21st Century? Are you well prepared? To be well prepared you must read Toffler, who showed us the future. The great genius of our time passed away peacefully in his sleep on June 27, 2016, at his home in Los Angeles, widowed by Heidi Toffler, who co-authored most of his books. Alvin Toffler will continue to inspire us with his seriously researched and brilliantly crafted books, which will serve as a guide for the modern man as he enters deeper into the unknown future. The Rise of the Robots by Martin Ford; Subtitle: “Technology and the Threat of Mass Unemployment” Shortlisted for the best business book award in 2015. I really enjoyed you posting Kipp. I am only vaguely familiar with Toffler, I find your page very informative. I believe that I will have to have a look at some of his books. It is an interesting approach to how you are developing your own future with your online business and I think that you are going to be quite successful. Please keep up with your writings. They are interesting and very useful. Thanks a lot for dropping by and for all the nice comments. I feel encouraged. Yes, it would be a leap forward if you read Toffler’s book. I would suggest you start with Preview and Premises. It is a light-reading one. It will help you become a more future-oriented person than before. The 21st Century demands such individuals. I will share my experiences as I move forward, please do stay tuned. I love your suggestions! I often spend time in my car listening to audio books and am constantly looking for new suggestions! I’ve never read any of these books, so I’m incredibly excited! Toffler sounds like an incredibly enlightened individual and I can’t wait to read more! You have obviously read quite a lot of helpful books, do you have additional recommendations or will you write posts in the future with more book suggestions? Toffler’s deep and insightful world outlook is astounding and has been my main source of inspiration and I am sure it will inspire you as well. If you are not a heavy reader you can skip the first two books – Future Shock and the Third Wave, at least for the time being. That means you should read them definitely in the future when you have more time. But for a light reading or to kickstart to become a real Tofflerist, I would suggest you start with Preview and Premises. This book though much thinner than the other books covers almost all the ideas in both Future Shock and the Third Wave, and since it was a series of interview with Alvin Toffler, it is not a heavy stuff. It is like a one-in-three of Toffler’s pieces. I have already bought 3 copies of this same book – Preview and Premises – because I have repeatedly read them and the books get thorned easily. Party also because the binding qualities of the paperbacks of the older editions are not that good. The last time I bought a “used” copy of this book on Amazon I paid only $5. But I would recommend you to buy the latest edition with a better binding quality because if you are like me you will love to read it again and again, on your online entrepreneur journey. You will further be tempted to read all the other Toffler’s stuff. Yes, I will continue to share and review books I read in the future. Very interesting what you have written here, it is truly amazing how a book can change ones perspective, help provide better understanding and leads to better decision making as a result. I will certainly enjoy looking into some of these authors you share here, thanks again for this great article! Thanks for your contribution. I will look into Elon Musk more closely as advised. Yes, these ideas seem crazy until they become reality. New and radical trends need crazy (or should we say creative?) ideas. Please do read Toffler’s books as well. Unlike Elon Musk, who is more of a radical innovator, Toffler was a social scientist and a futurist, and also a radical. His ideas are brilliant. It will fill your mind with overflowing ideas. I really like how passionate you are about reading. As the saying goes, “reading is what makes a man”. Continue to do just what you are good at because you seem to have a wide audience who value your work and positive contribution to the online world. I also like how much content you have on your website. It show that you love what you are doing and you don’t mind doing it to benefit others. Thanks for your nice and encouraging comments. As bloggers, we are caring others by sharing our thoughts and knowledge. We are not alone and if each and everyone of us contribute what little things we have, together we can change the world. I think this is a really interesting post. It’s always useful to find your center while you are working any business. Motivated is the underlining factor between your endurance and how you respond to critical situations. More importantly, I think purpose is ultimately the deciding factor as to how a person becomes successful in the future among other intangible factors that only the individual can evaluate. Good read! Thanks for dropping by and for sharing your thoughts. I am happy you enjoy reading this post. I believe knowledge is one of the intangible components of success in life. This is truer as we enter deeper into the new knowledge age. More importantly, land, labor, and capital – the tangible investments used by the riches of the old industrial past – are now slowly and surely replaced by knowledge, which is intangible but powerful and it could be acquired by anyone who has Internet access. We are lucky to be born into such an exciting era! I can see we share our love of learning from good informative books, the books you shared sound extremely interesting and useful to improve a person’s knowledge and expertise. How many books have you read which led you to opening your own business, what books has been the most useful for you with your business success? Its nice that we share the same hobby. Reading books, to me, is like an exciting journey inside others’ mind to enhance our own knowledge. 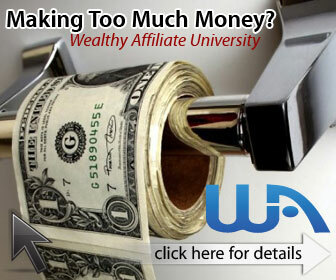 I learned quite a lot about how people are making money online as affiliates by reading Joel Comm’s Kaching. But it is Alvin Toller’s books that inspired me most throughout my life. His books literally changed my world outlook and enable me to conveniently and confidently jump on the bandwagon and start my online business despite my old age. I see you are a reader of books which is something we have in common. If you had to choose one book to take with you what might that be? What type of books do you enjoy reading, do you read all types or just mainly the types you have in this article today? Thanks for dropping by. Throughout my adult life I have been fascinated with social and political changes ignited by the rapid acceleration of technological developments. So, almost all the books I read are related to this trend. The one and only book I will choose to take along with me always is Alvin Toffler’s Preview and Premises. This book is like a summary of all his other books and also a light reading. This is a great article. I am also an entrepreneur, and I’m trying to build a solid business online. I’ve been reading a lot lately to give me inspiration when I’m writing my articles. So I’m constantly looking for new books that will inspire or educate me. I’ve heard about Alvin Toffler, but never read any of his books. Revolutionary Wealth seems like a must-read and a good starting point. Yes, Alvin Toffler was a great genius. An honest and legitimate wealth we are trying to accumulate online is indeed a “Revolutionary Wealth“. Reading his books will definitely equip you with tons of new ideas and deep insights on what’s going on right now and will never fail to inspire and excite you with the ability to foresee what will follow next. We need to empower ourselves with Toffler’s futuristic analytical mindset.